As a growing trend, these trendy mason jars are great to serve cold beverages in. These ever trendy mason jars get a makeover where they are used to serve summertime tea and beverages. Up Cycle leftover mason jars with lids and try these delicious and healthy beverages to keep you cool during hot summer months. Mason Jar beverages having been popping up all over the place. Use them for a baby shower, wedding reception/shower, birthday party, backyard BBQ, girl night, dinner part, tea time any many many more uses. 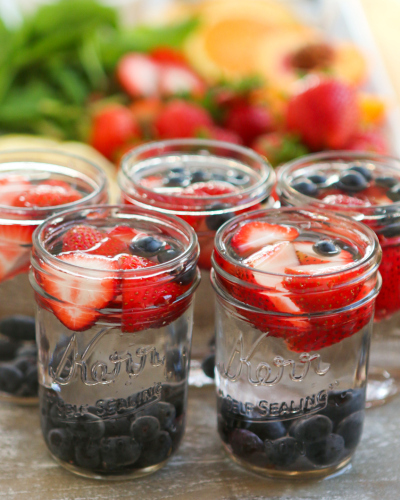 Using glass jars with lids makes it easier to seal, store and use these on the go or for your signature party. They are fun and reusable and are all the rave! 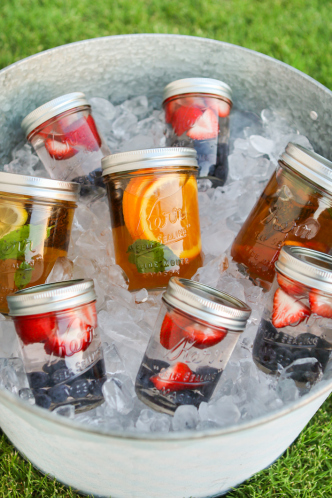 Enjoy your favorite cold drinks on the go with these adorable mason jar drinks. After you check out these great recipes from Thirsty For Tea, these jars can be used for iced tea, lemonade, punch, flavored water, fruit beers, powdered drink and many more.